Clementine Rose is so excited. Some new neighbours are moving in and they’re bringing three new kids! Araminta is almost eleven and twins Tilda and Teddy are almost six. Clemmie and her mum Clarissa pop over with a cake and the kids hit it off—immediately planning playdates. The kids’ mum, Ana, is a ballerina and Clemmie is thrilled to learn she’ll soon be hosting ballet lessons for kids in the town hall. She can’t wait to wear a tutu! That night, Clemmie wakes and notices smoke in the distance, through her window. The village hall is on fire! Along with Aunt Violet and Uncle Digby, the family alerts the fire brigade and races off into the night but alas, it’s too late to save the hall. Ana is devastated. Where will she hold her ballet lessons now? The villagers of Penberthy Floss band together to raise money for the hall but it’s a mysterious treasure box and some revelations from the past that’s the true twist in this adorable Clementine Rose tale. 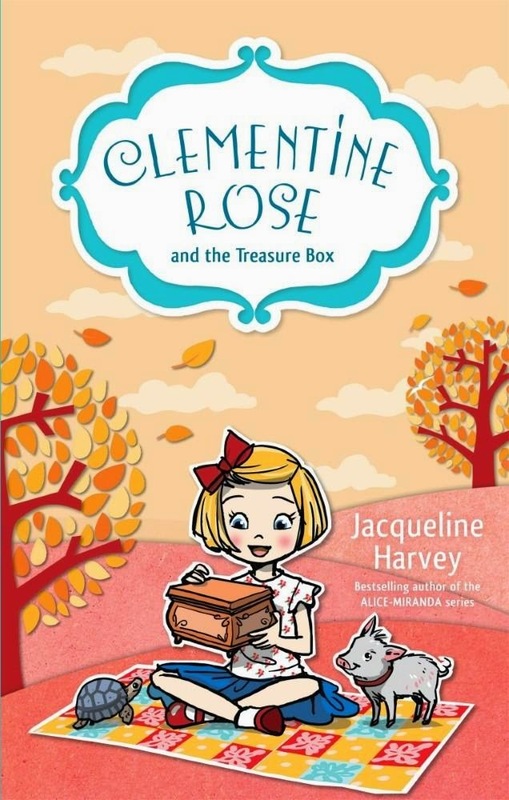 With her trademark bright, positive personality, Clementine Rose continues to enchant in her latest adventure. Featuring laughter, friendship, secrets and a turtle named Flash, this is another beautifully-penned and thoroughly entertaining romp featuring Clemmie, her eccentric aunt and uncle, and her adorable teacup pig Lavender. I could totally see this happening in real life. Not about the fire though, but the house removals and getting used to a new neighbourhood and just getting to know the community.